Another 16 year old in my circle just got a car for her birthday. That is awesome for her, but it worried me to hear her mother complain less than 15 minutes later about the affordability of college. In today's world it seems that every 16 year-old I know gets a car. This is very different from when I was a high school kid. Very few of my friends had cars, and no one I ever knew got a brand-new car. One of the reasons was that their parents were saving for college. 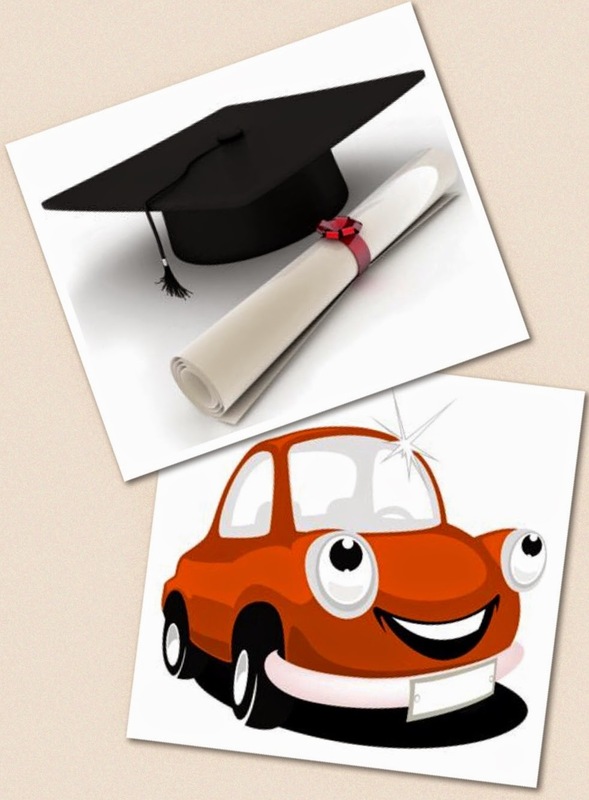 I suspect that the next thing today's car-lucky kids will do after getting a Bachelor's degree they couldn't afford (what with the big, fat car payment, natch!) is to go on to pursue a Master's degree, get married, take out a giant mortgage and then complain about how in debt they are. Must they have everything all at once? I keep reading how we need to make college affordable. Can someone tell me exactly what is affordable? At 18 I was extremely poor. I was working at McDonald's and taking a few classes at San Antonio College, all that I could "afford." I could not, however, afford a car so I walked, bummed rides or took the bus to class. I rarely bought any books. It was hard, but it was the most important and very best investment I have ever made in myself. Today people think it's perfectly OK to pay $30,000-40,000 for a car but then they balk at that kind of investment, at the very least, in a bachelor's degree. I have to say this sounds like maybe it's a matter of Prioritization rather than affordability. The real issue is that we want to be able to pay for college AND have all these other things too. Right away. And/or we want to go to a really expensive college and not be deprived of anything else as a result. In terms of investment, in 6 years the car will have significantly depreciated in value (if it hasn't been totaled - 1 in 5 of 16-year-old drivers has an accident within their first year of driving), while a college education will be even more valuable and complemented by experience. Now I can hear some of you parents out there saying, but what about the cost of room and board, and books and meals?! That's where Choice comes in. Then there is the choice to attend a private or out of state institution. This is where it really gets crazy. According to the College Board, the average cost of tuition and fees for the 2013–2014 school year was $30,094 at private colleges, and $22,203 for out-of-state residents attending public universities (as opposed to the $8,893 for state residents at public colleges we discussed above). From my bumbling middle class perspective, there is no choice here, there is just common sense. Or debt. The last thing to consider here is financial aid and scholarships which certainly can make college more affordable if you qualify. The first is based on need according to a student's particular circumstances, and the latter on ability which is dependent on talent and/or work ethic. I won't go more into detail on these since since it applies to only a fraction of students. Also, if a students gets financial aid or a scholarship, it often doesn't cover 100% of the cost so we then come right back around to choices. I hope this doesn't come off as sanctimonious or insufferable. I can see how it might****, but I am still going to post it because I'd like to see more consideration of responsible and realistic priorities and choices in determining the affordability of college to balance out all the righteous indignation. I know we all want our kids to have the best possible college experience. We all hope our kids are better off than we were. But do we really need to make everything so easy for them? Doesn't a little deprivation still develop the highly useful ability to delay gratification and appreciate bounty and good fortune? How do we make it better for them by letting them tumble into irresponsible debt and then expect some sort of "forgiveness" of that debt? Who exactly is responsible for that debt? The clueless kids? The parents who let it happen? The banks who gave them the money? The colleges who charged them for expenses? I don't have the answers to these questions, but I do know how to stay out of debt. **OMG it should be illegal to give loans to kids for living expenses. My daughter told me that her boyfriend frequently spends his loan money on comic books! I cant even begin to write about how awful this whole concept is.